Being a Google Adsense user is not a guarantee that as a blogger or a site owner you will always earn from it. Google has extensive Terms of Service for its users,and if you violate any of them, your account can be suspended temporarily or entirely banned. The only thing you get from them is an email saying your account has been temporarily suspended or it has been banned. This is not the end of the ads world for you because Google Adsense might be the best account to use,but there are other alternatives which might even be better for you. Instead of bashing Google in all the forums you can find after your Adsense account is closed, there are other alternatives out there you can try. 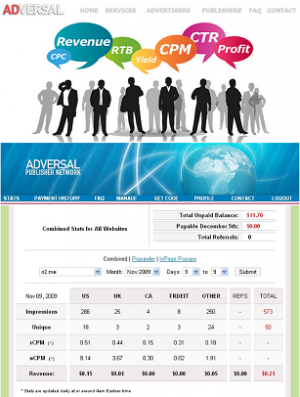 This is the most similar Adsense alternative available. Some people consider it as the Adsense for Yahoo and Bing. Media.net is a leading technology company that develops digital advertising products for advertisers and publishers. 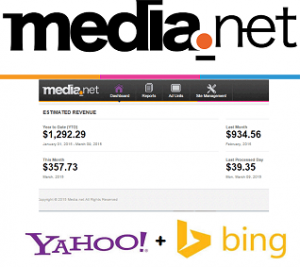 Media.net is responsible for running the 2nd largest contextual ads program worldwide. It provides a broad range of advertising and traffic monetization solutions to a diversified and substantial client base. It has more than 500 employees and is one of the largest teams that is building a worldwide contextual advertising business. The advantage with Media.net is they take only two days on average to approve your account and gives you 10% extra over your first 3 months earnings. 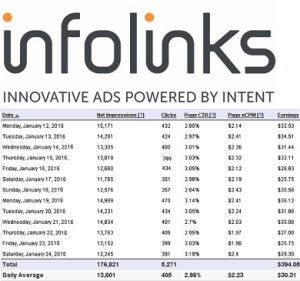 Infolinks is one of the largest advertising networks today. It enables more than 200,000 online publishers to earn money from their ad space. The company has free to use native ads that work well with ad solutions and doesn’t interfere with the user’s experience. Some of their best features are engaging banners, effective contextual and video ads and other highly customizable products that guarantee you will make the most out of your web traffic. Infolinks’ platform is simple to integrate to your site and it is available to any publisher whether big or small. Infolinks platform has no setup fee or minimum requirements for visitors or page views and has no hidden commitments. Their advertisers are chosen based on quality and that’s why they work with worldwide leading brands. If you have any product that can be found on Amazon, then Amazon associates might be best suited for you. Remember this is the largest online store all over the world so there must be something they are doing right to be on top. Amazon will allow you to put dynamic image adverts on your blog or site so you can help promote them. Amazon doesn’t offer a pay per click or CPM programs,but they pay commission for anything they sell from your links. For example, if you have an ad driving people to buy an Apple product, a small commission is for you. If you sell a $10 item, you might receive a few cents,but if you sell a $1500 item, you can earn up to $100 in commission. This platform can be used safely with Adsense. They will send you a check that might take time to reach youbut if you are in the US, you can provide a bank account. The only reason Chitika made it to this list is because it is very similar to Adsense. 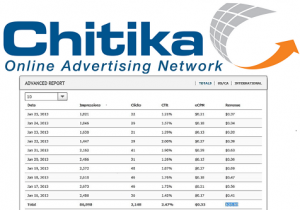 If you were used to Adsense, then Chitika will be just like a simple transformation once you start using it. The platform only serves contextual ads and it allows you to customize your ads. You can use it with Adsense without any problem at all and it pays via PayPal at $10 minimum or via check $50 minimum. The good thing about Chitika is that you don’t need to get approval to use Chitika ads on your site. This gives you the chance to monetize your low traffic site. You only need to create an account and put ads on your site. This is an excellent alternative to Adsense. Their revenue and CTR adapts to get the best results for your website and they have good banners and good image ads too. One of the best features Adversal have to offer is working decently with other languages. They approve your account fast and they also have CPM ads as an option. Adversal will require a site with a minimum of 50 thousand page views per month to approve your account,but they have a proven track record of working very well. They pay via PayPal too and this is one of the best Ad networks which will work well for the people looking for a replacement of Google Adsense.